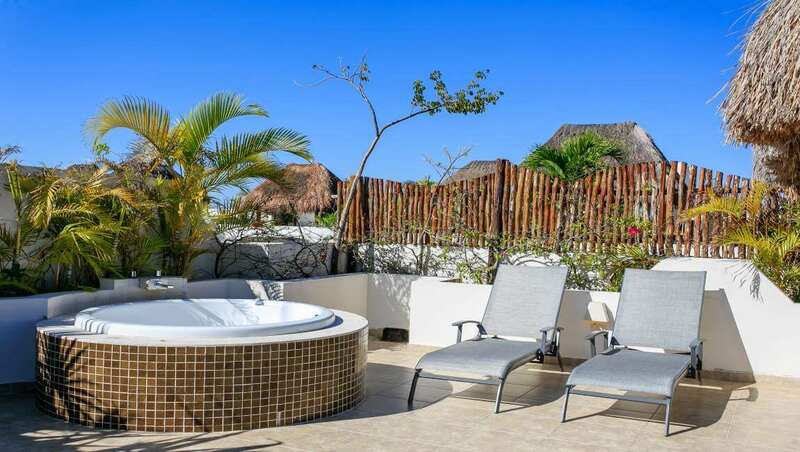 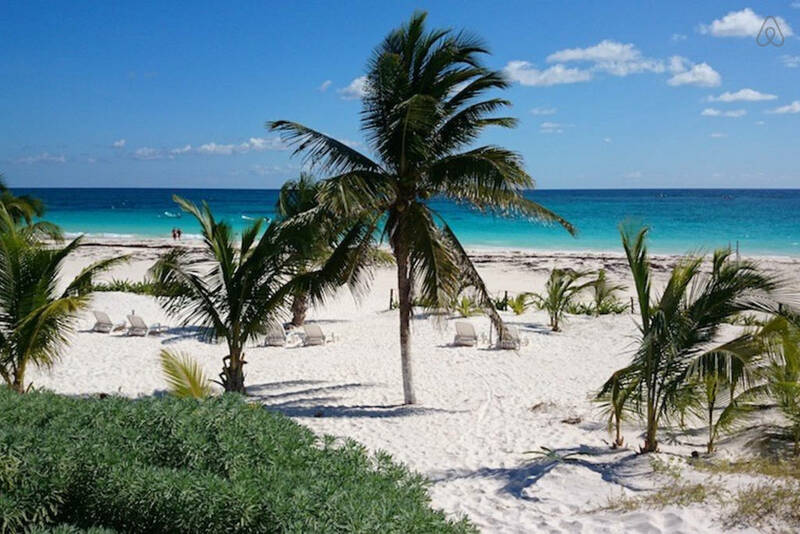 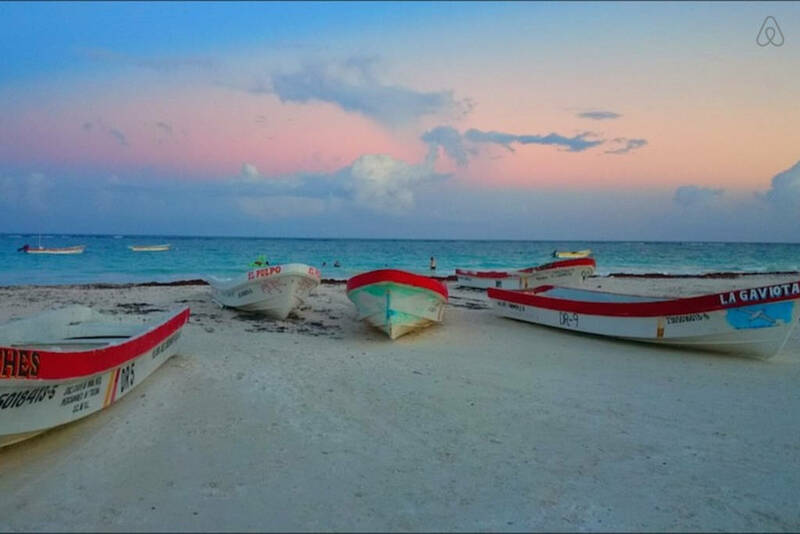 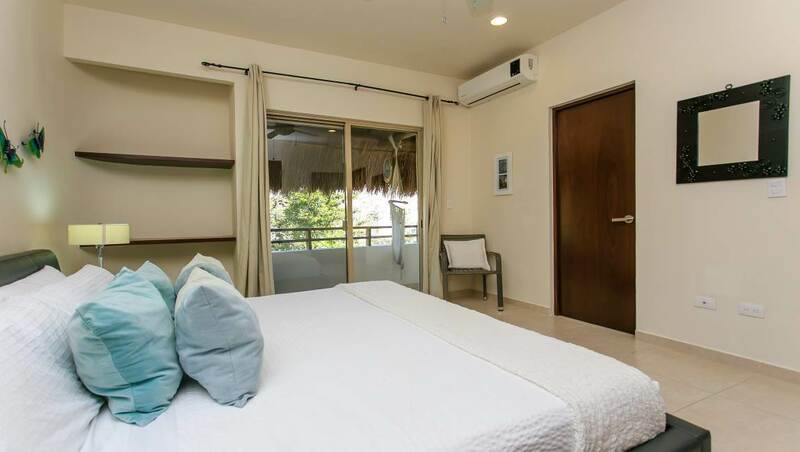 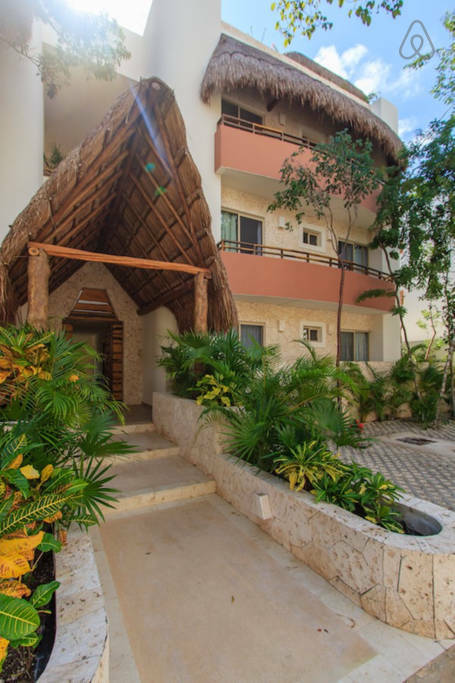 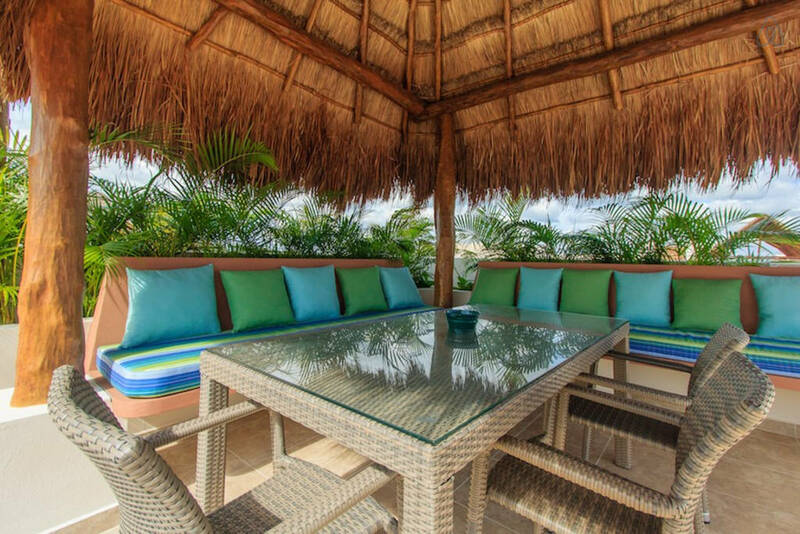 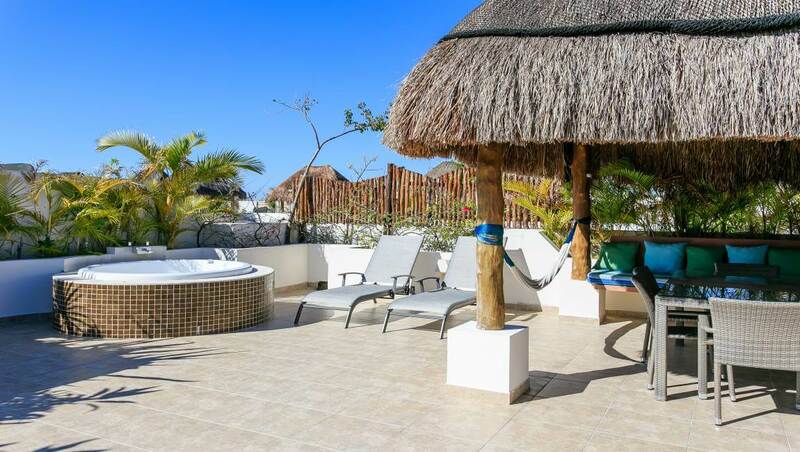 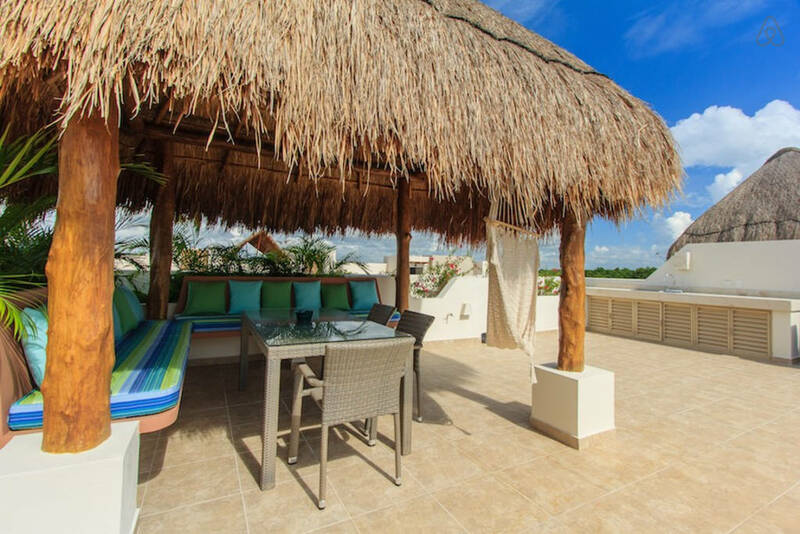 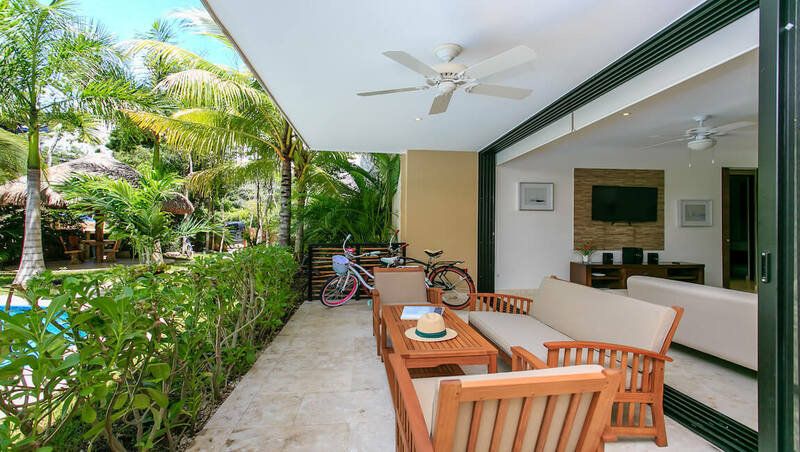 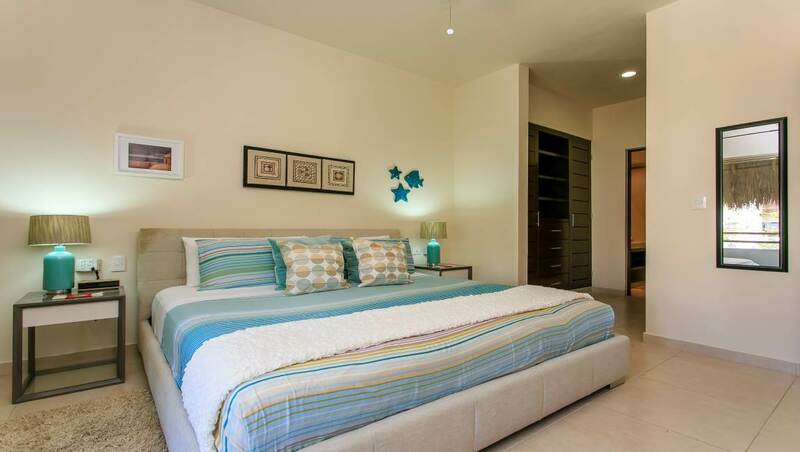 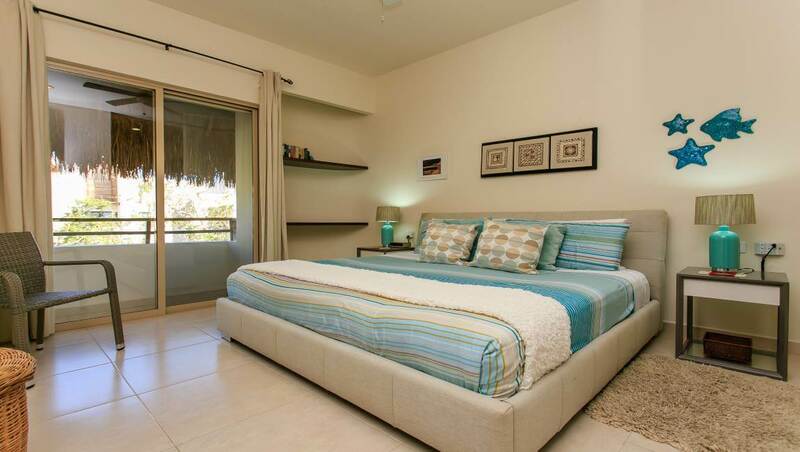 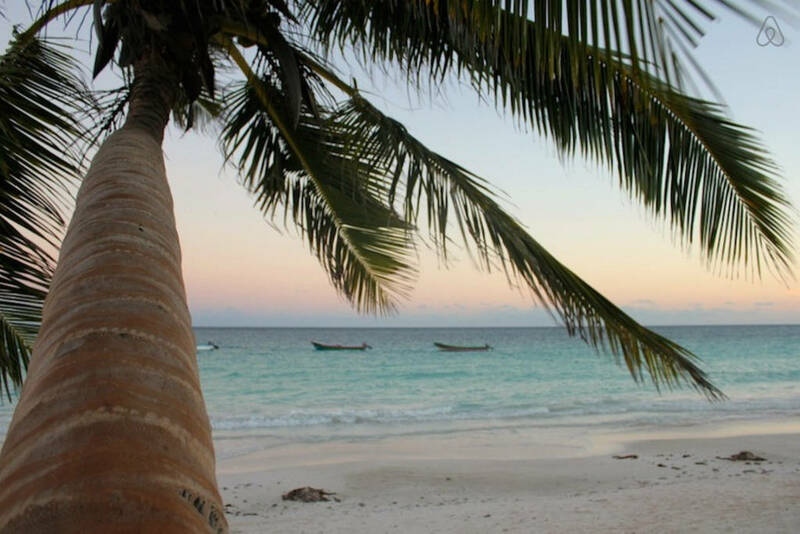 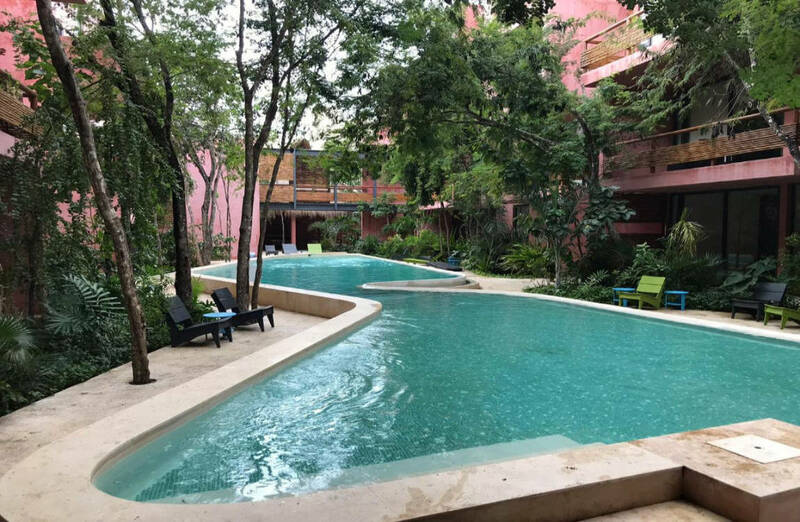 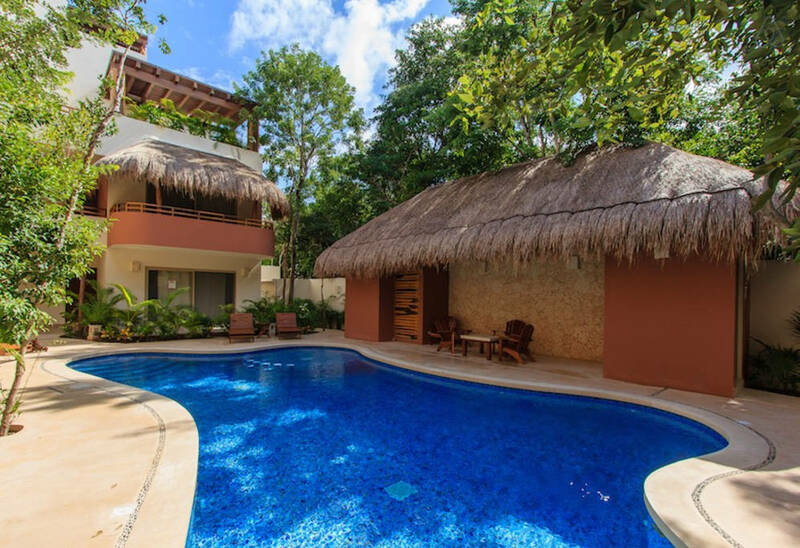 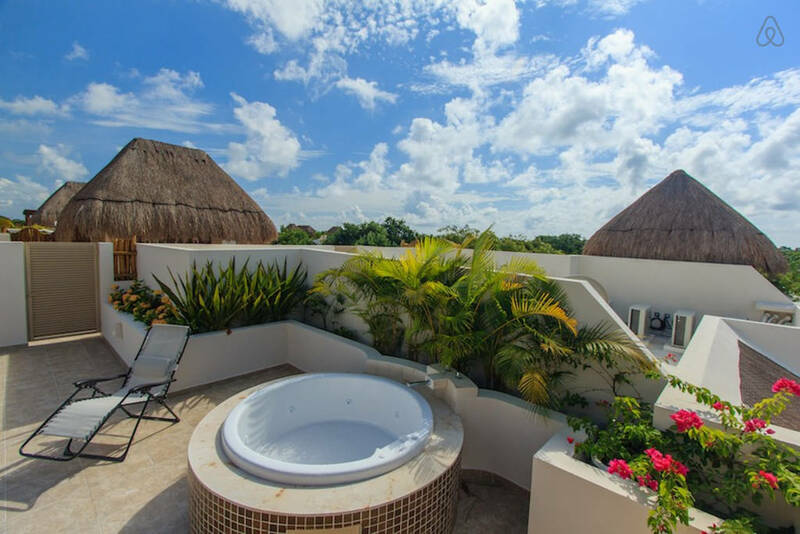 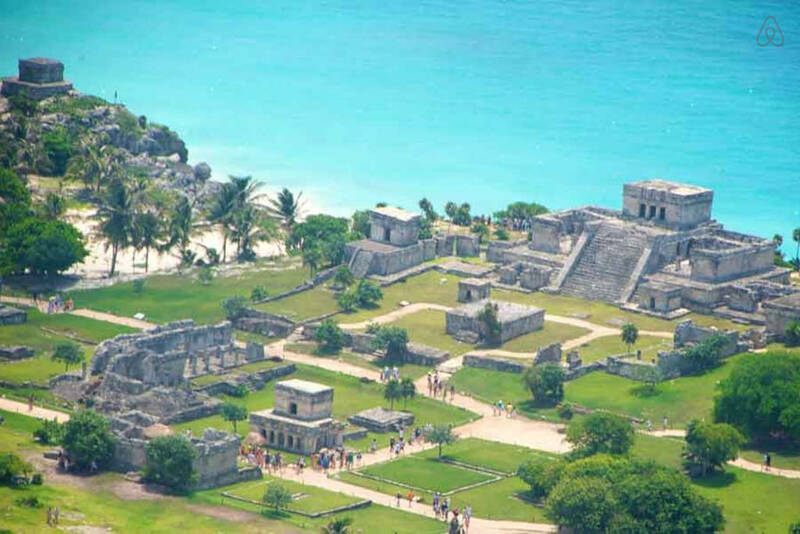 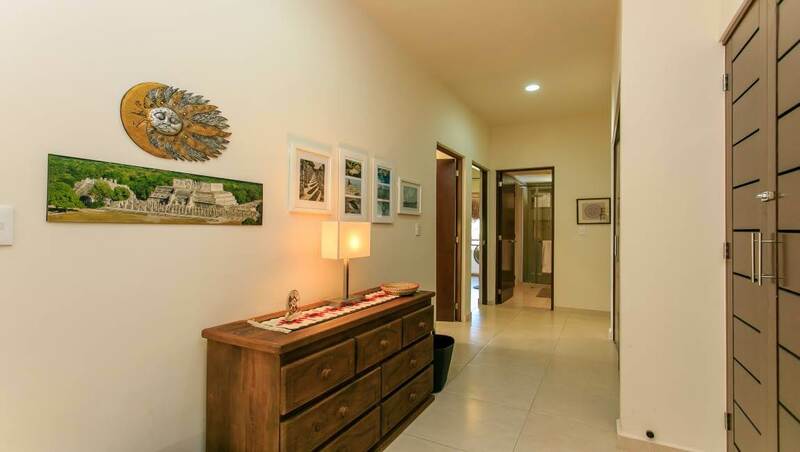 The Zama Gardens development offers a peaceful locale for vacation rentals in Tulum; the small complex is charming and quaint, with only 17 units. 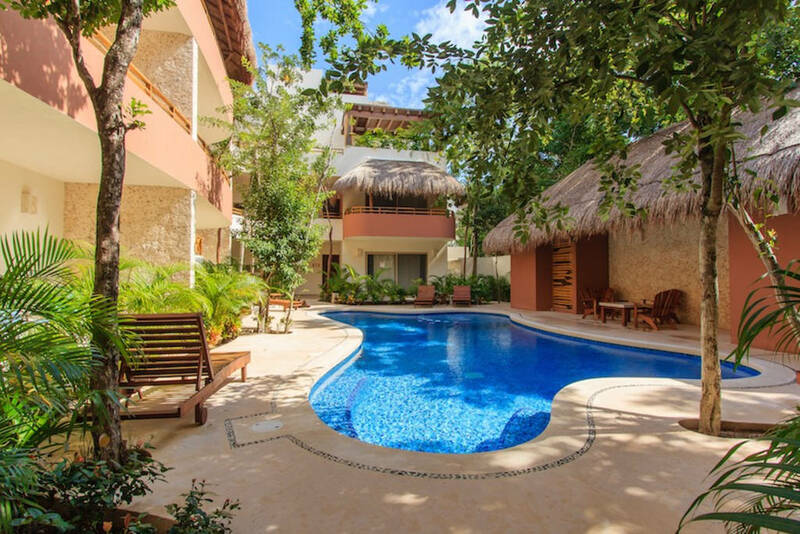 Take a day off from the beach and enjoy the pool area, surrounded by tropical plants and palapa roofs. 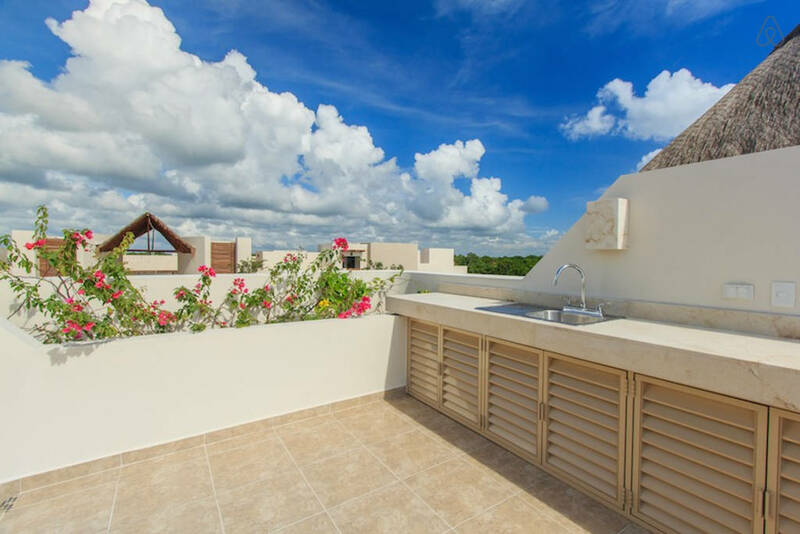 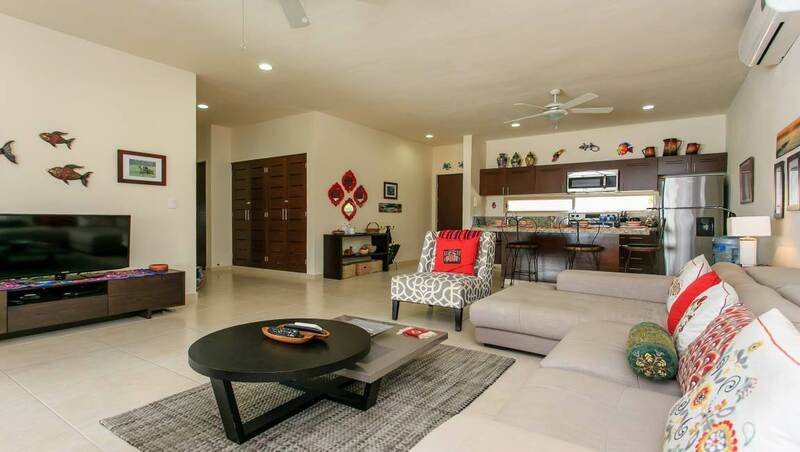 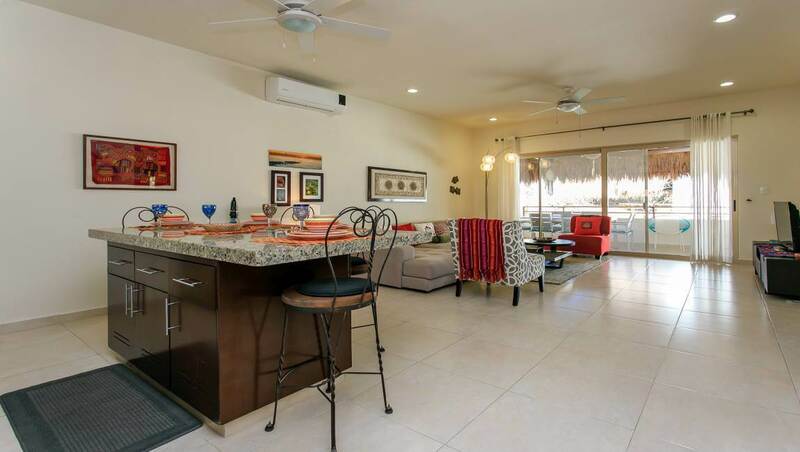 Penthouse Luzera features a living room with comfortable seating and a fully equipped kitchen with granite breakfast bar. 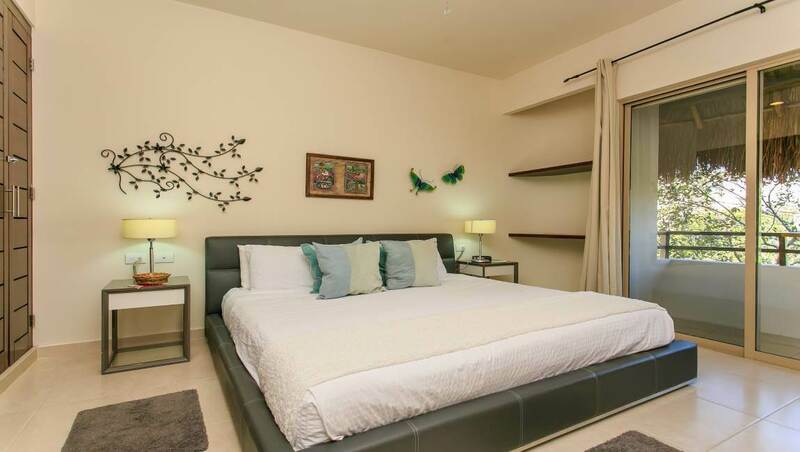 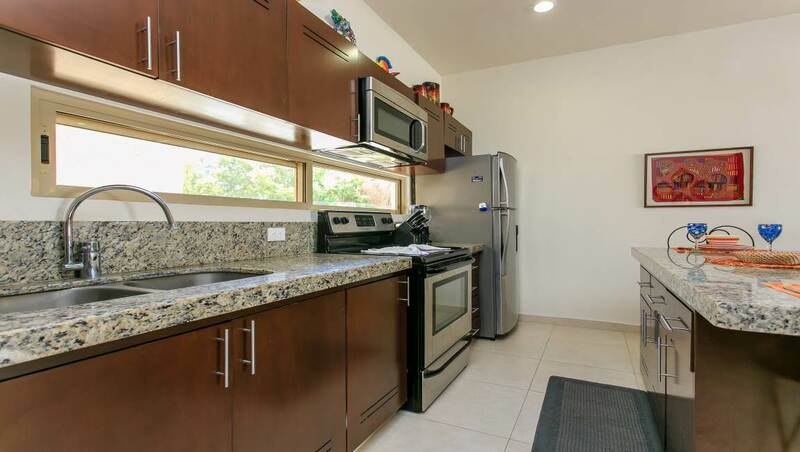 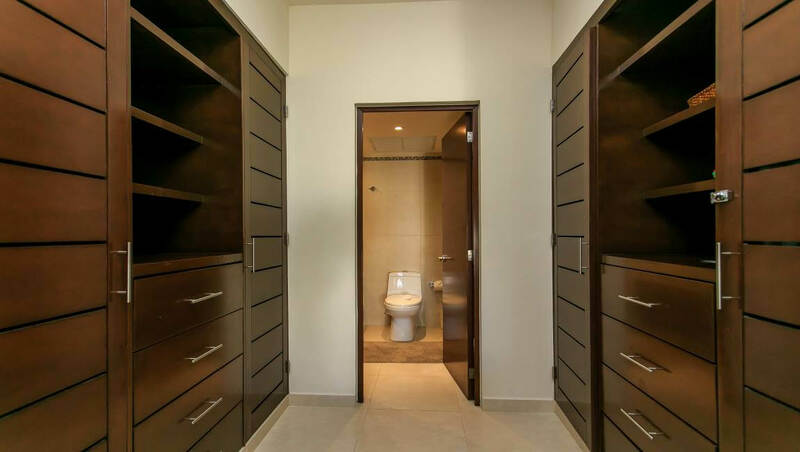 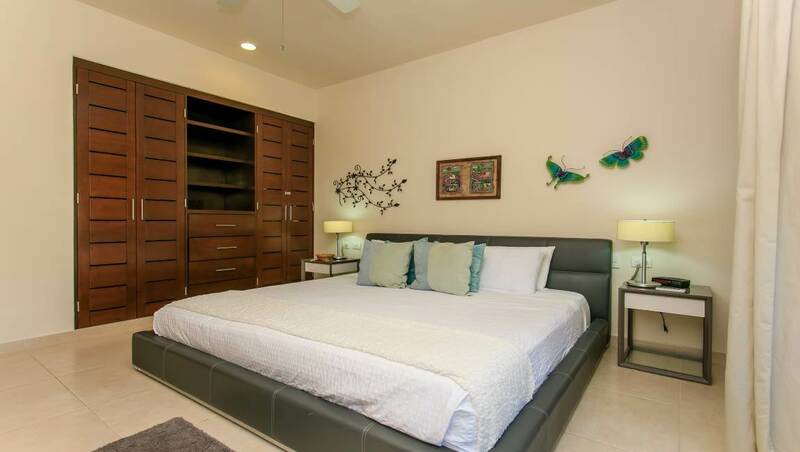 This brand new unit has three bedrooms; the master features a king size bed, large closet and private bathroom. 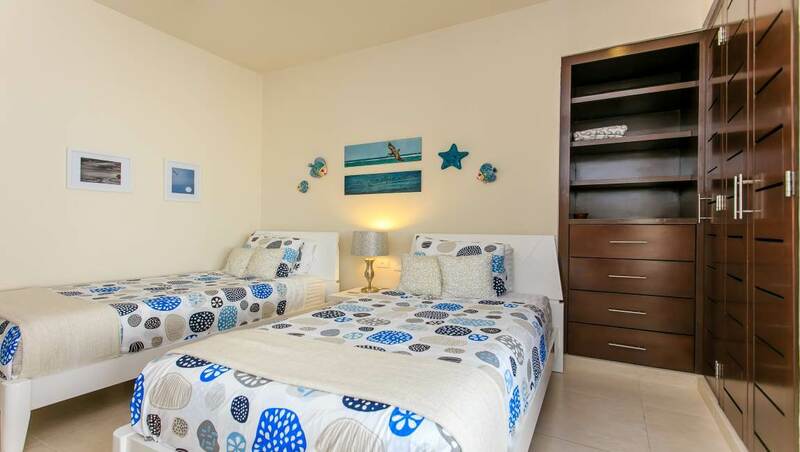 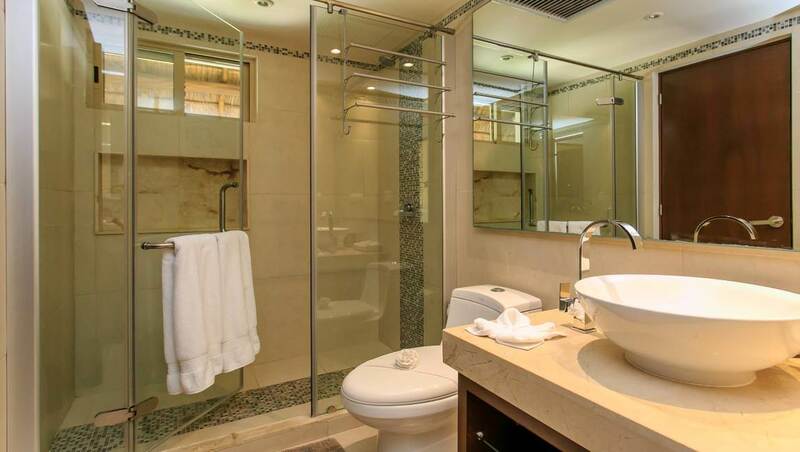 The additional bedrooms share a bathroom, each have large closets; one features a king size bed, the other has two twin beds. 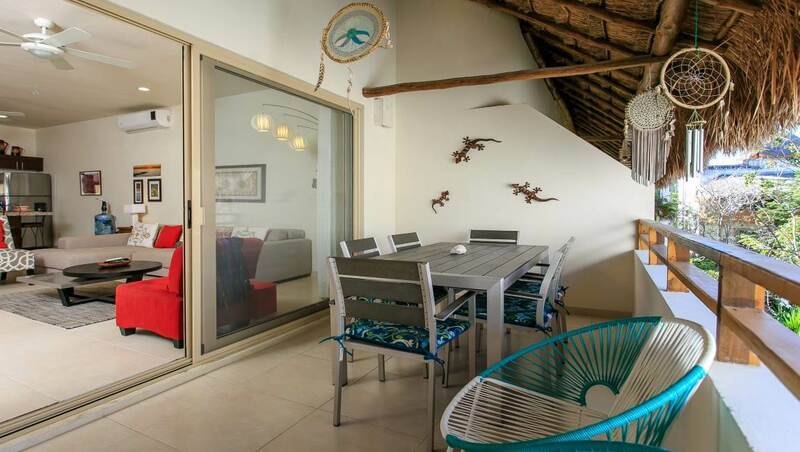 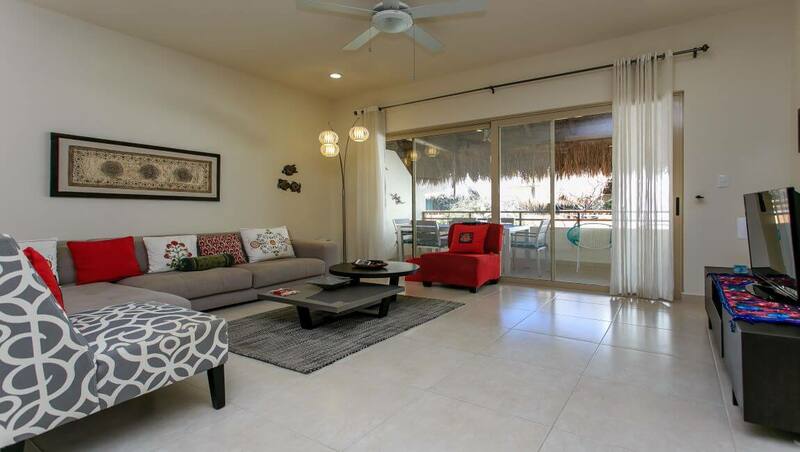 The exterior areas of Penthouse Luzera are great for relaxing and enjoying a night in with friends or family. 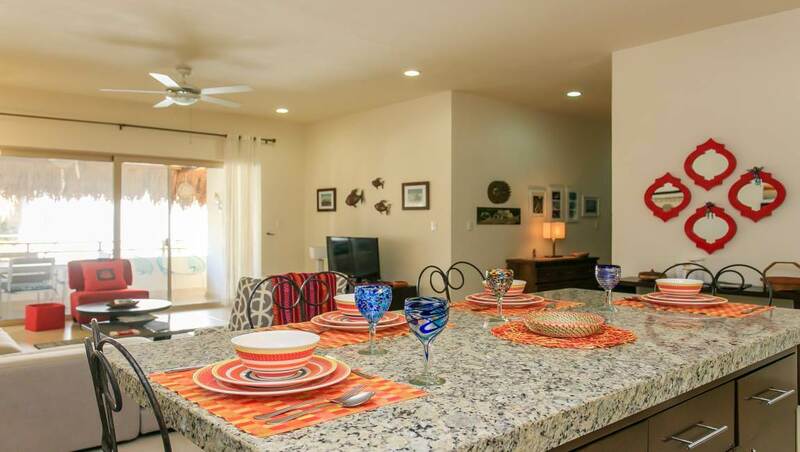 Prepare a beautiful dinner in the kitchen and enjoy your meal outdoors – the terrace accessible through the living room has an exterior dining area or you can enjoy dinner on the rooftop terrace that features a Jacuzzi, Weber gas grill, a lounge area, and table that seats 6. 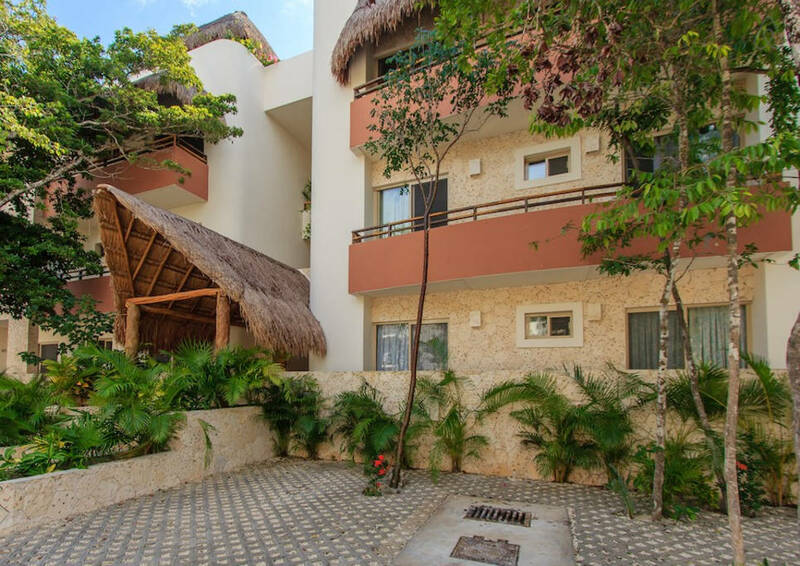 From Wednesday, January 8, 2020 to Wednesday, January 15, 2020 the minimum stay is 7 nights. 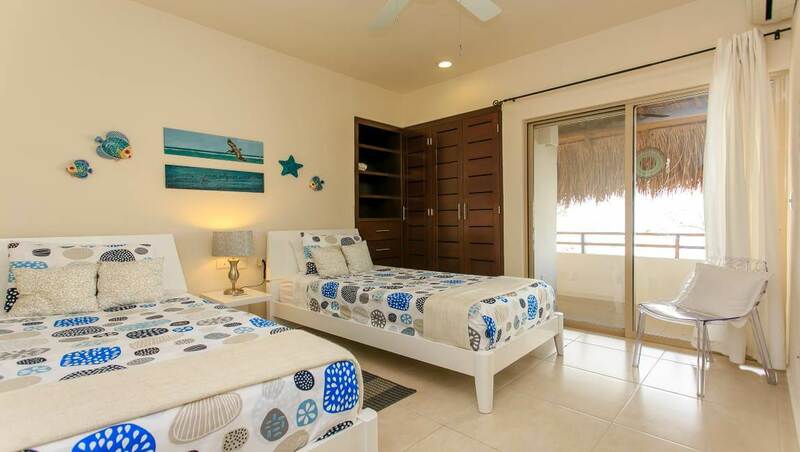 From Friday, January 8, 2021 to Friday, January 15, 2021 the minimum stay is 7 nights.